A bunch of 18 Red Roses, wrapped in Cellophane and tied with a Red Bow is a sight to behold. 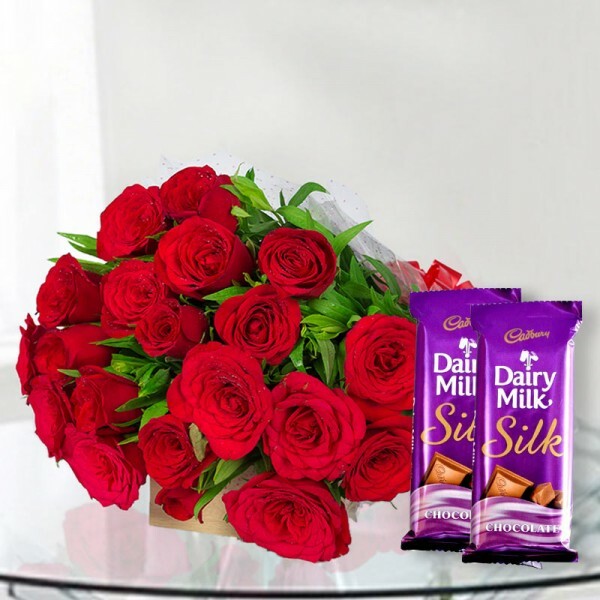 But when you gift this bunch along with 2 Cadburys DairyMilk Silk Chocolates, it becomes perfect. Gift this perfect Hamper to your loved ones.